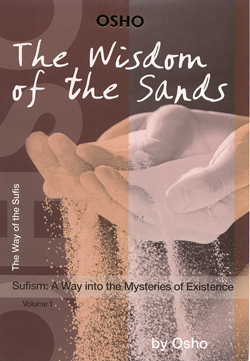 Het boek ‘The Wisdom of the Sands’ gaat over de wereld van de Soefi’s. Aan de hand van indringende verhalen wordt ons hun wijsheid duidelijk gemaakt. Vertrouwen, vanuit het hart leven en “let go” zijn hierbij de kernachtige onderdelen. De cover afbeelding geeft weer, dat er ontzettend zoveel tot ons komt. Het is echter de kunst om om in het zand de goudkorrels te vinden. Onze spirituele reis is vaak doelgericht, maar op zich is de reis al zo mooi en vol leerrijke ervaringen. Het boek The Wisdom of the Sands is verkrijgbaar bij de Boekhandel of via internet. In this collection of his commentaries on Sufi stories, Osho describes one of the stories within as belonging to “the very foundation of religious consciousness.” Deceptively simple, these tales of the Sufis have a deeper underlying significance, as Osho makes manifest through his beautiful and insightful commentary. This book is not for those who want entertainment, but for those who seek illumination. “The story that we are going to go into today is one of the greatest stories. It has that special flavor that only a Sufi story can have. It is incomparable. If you can understand this story, you will have understood the very secret of religion. If you can’t understand this story, you will not be able to understand religion at all. “This belongs to the very foundation of religious consciousness. Without it there can be no religious transformation. So listen to this story as attentively as possible. Let this story sink into your being. This story can open a door, this story can become such a radical change in your life that you may never be the same again. But the story has to be understood very minutely, very carefully, very lovingly, because it is a strange tale. “It is not just a story; Sufi stories are not just stories. They are not to entertain you. They are not to just give you an occupation. They are teaching devices. 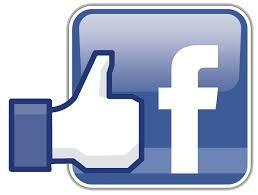 They indicate something, they show something, they point to something. They are pointers, they are arrows towards the unknown, fingers pointing to the moon. And remember this saying of the Sufis: Don’t bite my finger, look where I am pointing.